Find below a selection of projects, from e-commerce shopfronts to blogs and small businesses pages, each representing a unique design challenge. Whatever the function of your website, visual considerations will play an important role in engaging with an audience. If you are interested in the design possibilities of your own project, please do get in touch via the Contact page. Ever wondered what wildlife secrets lie amongst the Scottish Highlands? 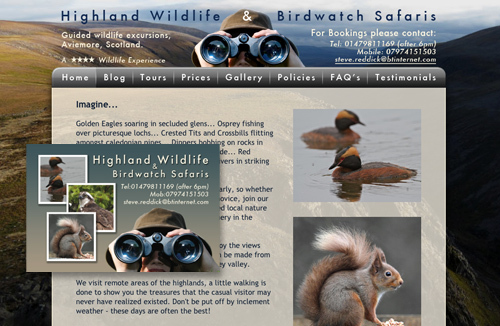 Steve Reddick's expert tour service offers wildlife and birdwatch safaris to a wide range of visitors. This website was designed to be focused around Steve's stunning photographs. All the relevant information had to be a click away and the site was seamlessly blended into a sightings diary, easily updated via Blogger. Establishing a web presence while continuing to make a wide product range available for direct order was the brief for this project. 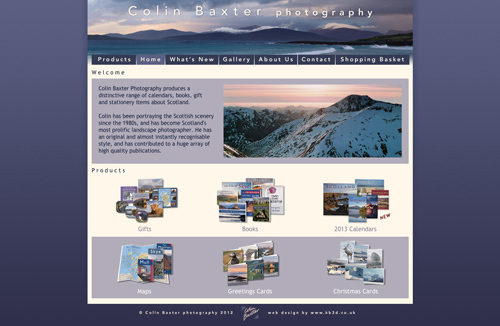 With a tightly designed and functional new website Colin Baxter Photography Ltd was able to make a move into e-commerce that would prove highly successful. The design was orientated around promoting both quality photographs and a diverse product range. 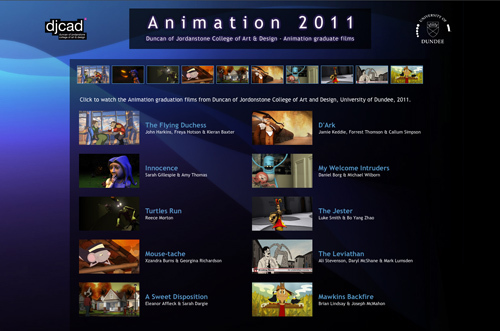 A compilation of Animation graduate films from Duncan of Jordanstone College of Art and Design, class of 2011. Each short film can be watched on this website which profiles student information along with a gallery of stills. 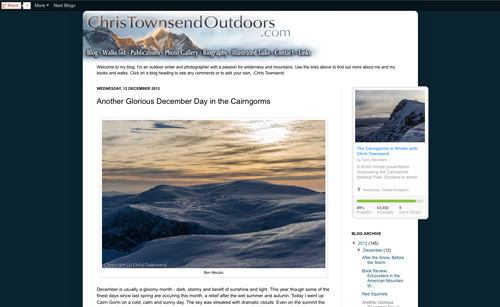 Chris Townsend is a prominent outdoors expert, writer and photographer. He keeps a host of followers up to date on his work and adventures via this website. The design gives priority to the blog, but also includes a shop where Chris's publications can be purchased - easy both to use and administrate. 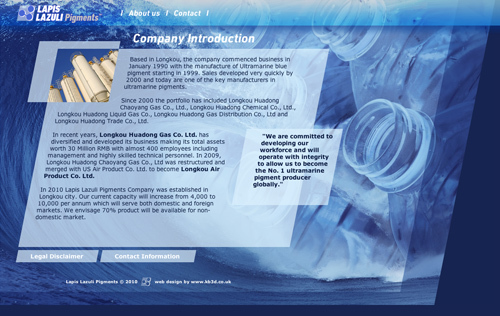 A startup pigment company wanted to make a splash with a website which reflected their vibrant ultramarine colours. The aquatic theme also incorporated plastic water bottles, which represented the pigment supplier's largest client base. The brief was completed to the client's satisfaction although the startup company has since moved on to other areas of trade and as such the website is no longer online. 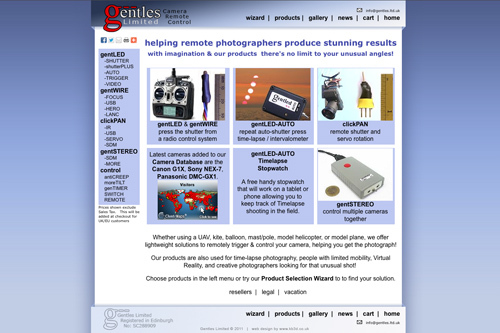 I provided design consultancy during an upgrade to the online shopfront of Gentles Ltd, specialist camera remote control manufacturer. The trademark and page template were redesigned to tie in visually with the infrared intervalometer technology without departing from the existing identity.